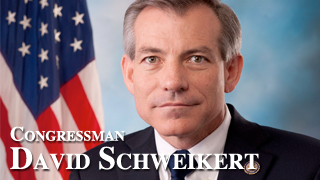 Congressman David Schweikert was raised in Arizona and has deep ties to Arizona’s 6th District, working to reign in government spending, eliminate the deficit, reform the tax code, and reduce the size of government. He is a long-time advocate for free enterprise, economic growth, and veterans. As a Member of Congress, David draws on his experience as a businessman, civil servant, and taxpayer advocate to break-down the numbers and show the economic reality of our nation’s mounting debt.